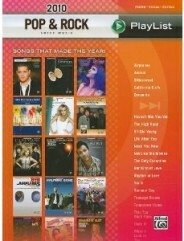 2010 Pop & Rock Sheet Music Playlist: Songs That Made the Year! 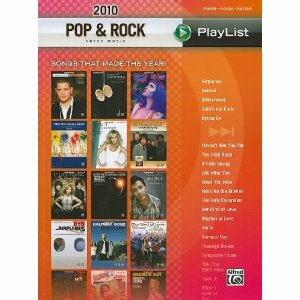 Home / Products / 2010 Pop & Rock Sheet Music Playlist: Songs That Made the Year! Play the songs that made the year! More than 200 pages of sheet music capture the pop and rock “”soundtrack”” of 2010 to play and sing for a lifetime. When I Look at You (Miley Cyrus).